Last minute as ever, I watercoloured the images for these cards on Good Friday morning, finishing them off on Easter Saturday! The stamps are by Creative Expressions, painted with Cotman watercolour paints. The yellow cardstock was in my stash & the “ribbon” was, in fact, palms from Palm Sunday Mass. I’m making this my third, and last, entry in the Flower Power challenge over at Stamping Sensations. I’m also entering into the Anything Goes challenge at Addicted to Stamps. 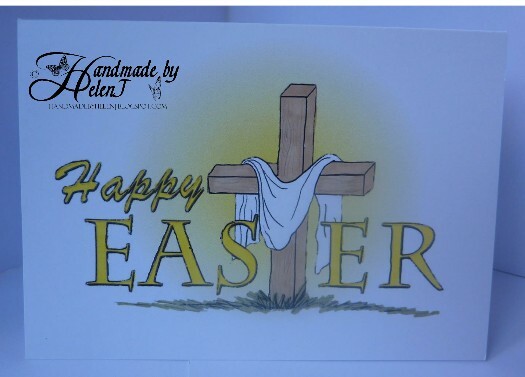 Ultra quick post, just to say Happy Easter & show the card I’ve sent variations of to people this year. This is a combination of diecuts & a computer-generated sentiment. I’m entering this at The Paper Players where the theme is diecuts. I’ve not made many cards lately, life’s been getting in the way a little too much! This card started out as a free download from here which I took into Craft Artist 2 Professional, using the cutout studio to remove the white space, then adding a yellow circle behind the cross. After applying a transparency effect to the circle I printed it then coloured it with Promarkers. 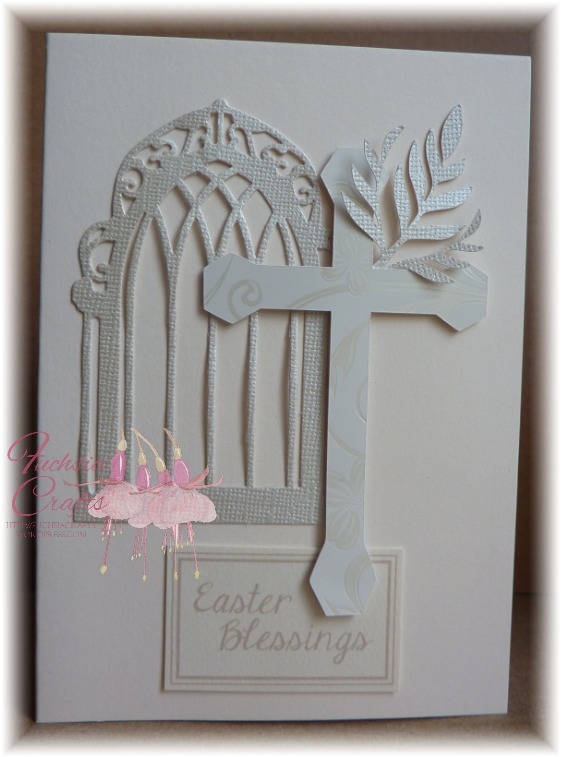 A quick, easy card which reflects the true meaning of Easter.